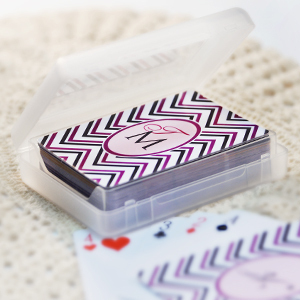 Getting your own name personalized onto a deck of cards is simple. We have many monogrammed playing cards template designs for you to choose from. 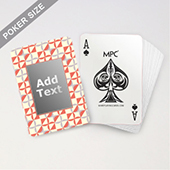 After you have chosen the template that you would like to add your name onto, go into our online cards maker where you can add any text to the card back design whether you would like to add your initials, your first name or your full name, the choice is yours. You can even change the size of the text, the font color and of course, the font itself. We print your personalized monogrammed playing cards on high grade card stocks to ensure a long lasting deck that will perform as well as just being a keepsake deck. Monogram playing cards with names and initials can be used by businesses too such as hotels adding their hotel brand name onto a deck of cards or for casino gift shops. The possibilities are endless so create your deck of cards with your name on it today. We ship worldwide. 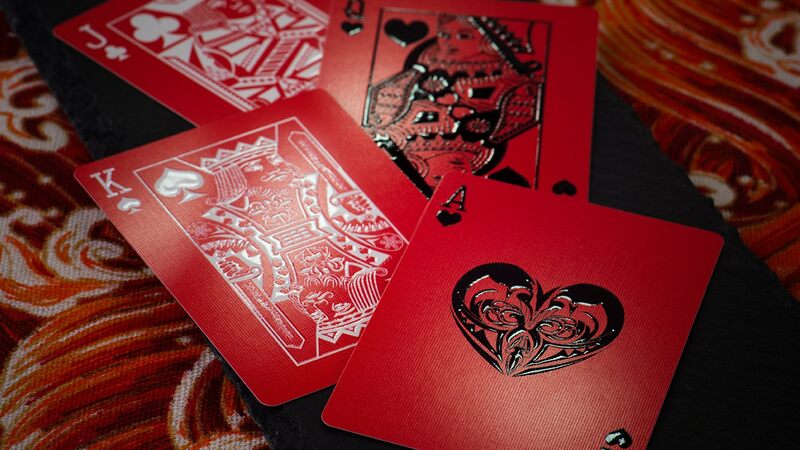 The video here will give you a good idea of how our printed cards will look. We used the 300 gsm card stock here to shoot the video. 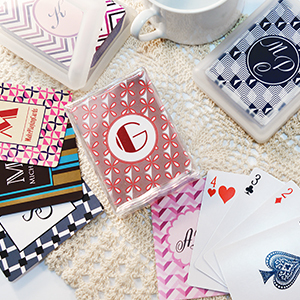 Check out how easy it is to create your own monogrammed playing cards using our online monogrammed cards maker. Simply choose your template design and add your text.